Can you believe a whole 10 years have passed since today’s featured band – and one of Ireland’s most successful music exports of that time – arrived on the scene? The story of The Script actually goes a bit further back than that, mind. Dublin boys Danny O’Donoghue and Mark Sheehan had first met at Digges Lane dance studios in Dublin when they formed smiley, cheesy boyband Mytown in the late 90s. Alas, despite appearing on Smash Hits tours and supporting fellow countrymen Boyzone, their debut (and only) single ‘Party All Night’ floundered in the top 30 in March 1999, and that appeared to be the last anyone would hear of them. After they were dropped, they stayed in Los Angeles, and had cut their teeth writing songs for the likes of TLC, Boyz II Men and Britney Spears in the five years following, before they returned home to Dublin and formed the band with mutual friend Glen Power. Citing everyone from The Neptunes to Sting and U2 as influences, The Script were formed in 2007, signing a deal with Sony Music imprint Phonogenic. The following year, 2008, after supporting The Hoosiers on tour, was their official launch. ‘We Cry’ had gone first as their debut single, reaching a respectable #15 in April. But it was their second single that really caught the public’s imagination and set them on the path to 21st century pop legends status. A melodic, catchy tale of a guy deciding to go back to the spot he first met his (presumably ex) girlfriend in hopes of winning her back, ‘The Man Who Can’t Be Moved’ initially debuted at #12 upon it’s mid July release, but as airplay built, so did interest in the single – as it began it’s climb to a #2 peak in the UK on this very week. It then saw to it that their eponymous debut album, released that August, would go straight to the top of the album chart on both sides of the Irish sea and around the world, on it’s way to sales of over two million copies worldwide. 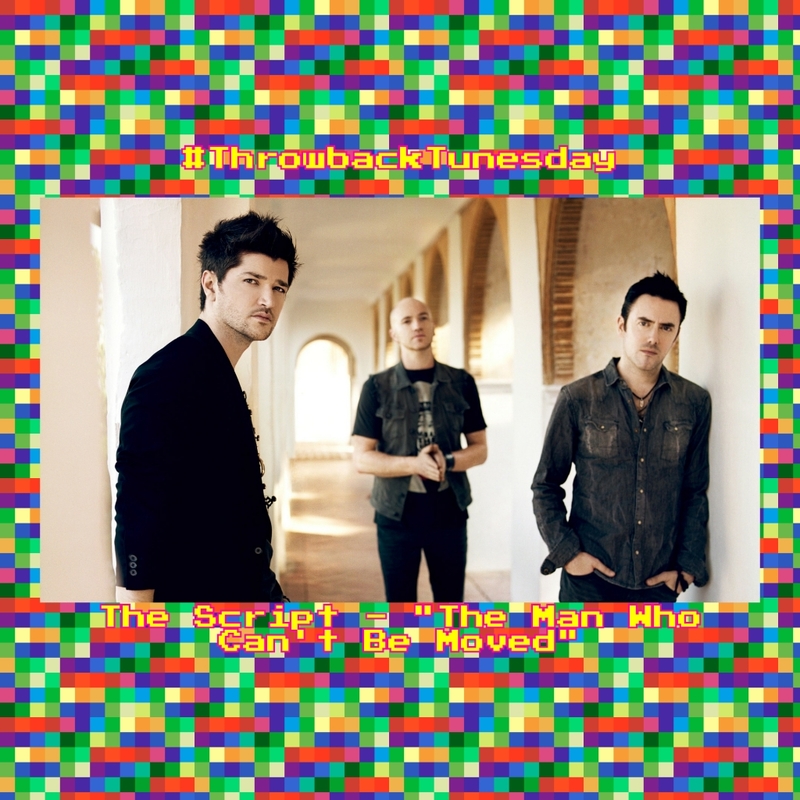 Here’s to the next decade of success for The Script – and a toast to the single that really started it all for them.